OnSpot automatic chains “get a grip on snow and ice with a flip of a switch.” They’re especially suited for emergency vehicles, fire trucks, school buses and plow trucks. Fabricated by Trebor and TruckCraft, our steel and aluminum flat decks are ready to get the job done. We can also customize to fit your specifications and add any desired accessories. Part of the HIAB family, Multilift is the world leader in hook lift systems. Body types that typically use a hook lift system include flat decks, garbage bins, dump bodies and salt spreaders. Available in a capacity range of 9,000 lb to 55,000 lb and designed for installation on both single axles and the largest tandems, Multilift has the perfect system to add versatility to your truck. 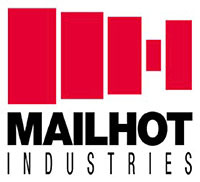 We’re proud to carry a full line of Mailhot hoists. The leading name in Atlantic Canada, Mailhot constructs models for all types of truck bodies including 1 tons, tandems, twin-steer trucks and spreader/dumps. We also keep most models in stock for emergencies and can repair a defective hoist at our Dartmouth location using our factory approved test bench. PTO’s and pumps are an essential part of any truck with a hoist, hydraulic cylinders or hydraulic motors. Our PTO and wet line system products come from the Chelsea and Parker line, which includes energy saving and dry-valve systems. VMac’s innovative rotary screw design makes them the smallest truck-mounted compressor with the highest output in its class. Capacities range from 70 and 150 cfm models and up to 150 psi, with mounting kits to fit most popular work trucks.